HARK! 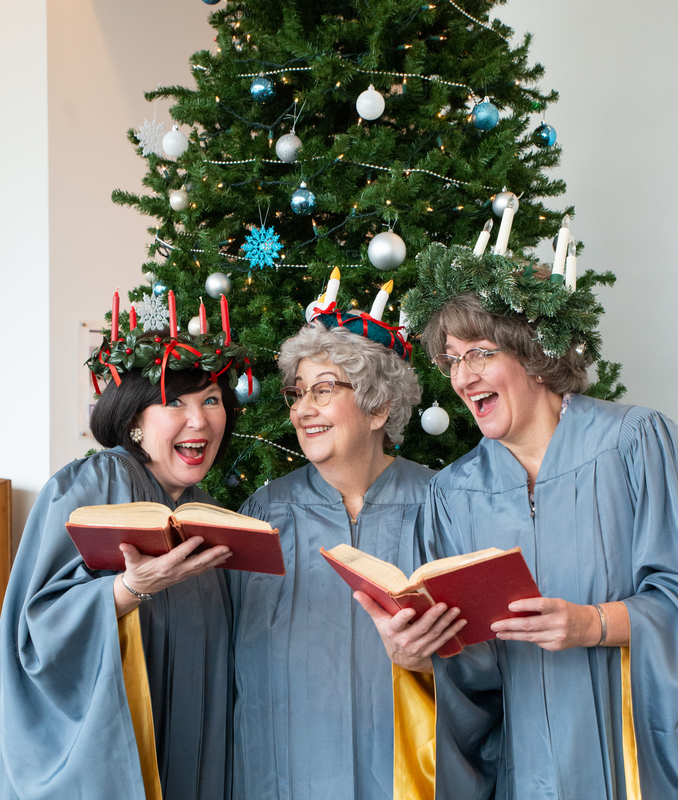 THE BASEMENT LADIES SING is the latest installment in the Church Basement Ladies musical series. It is December 1960, and members of this rural community have gathered around their reel-to-reel tape player to record a special Christmas greeting for one of their boys serving overseas. As the ladies serve up coffee and cookies, Pastor suffers from a case of stage fright, Mavis smuggles a piglet into the kitchen, a surprise visitor leaves Karin speechless, and the Widow Vivian Snustad gets caught in an embarrassing situation. Throughout it all, you are encouraged to sing along as Beverly Barsness bangs out Christmas carols on the old upright. So come “Fa La La” with the Church Basement Ladies as they deck their fellowship hall. Served with: Hash brown casserole and Glazed herbed carrots. Variety of dinner rolls with Chef’s butter.